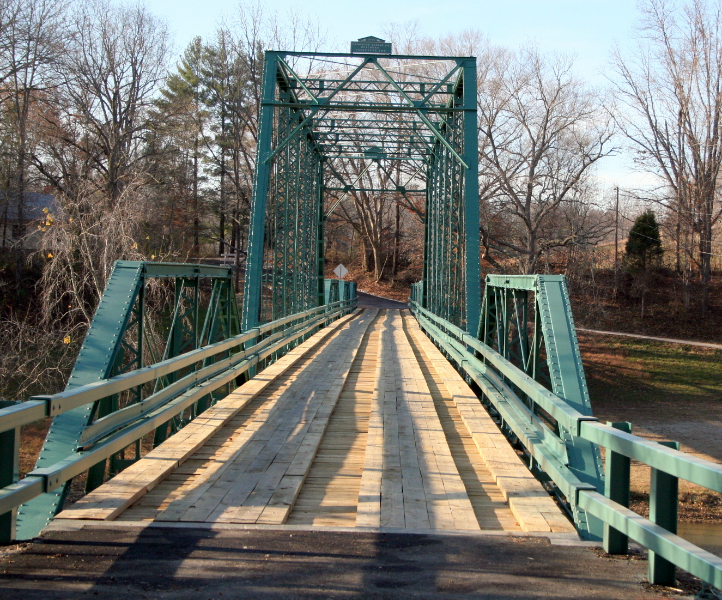 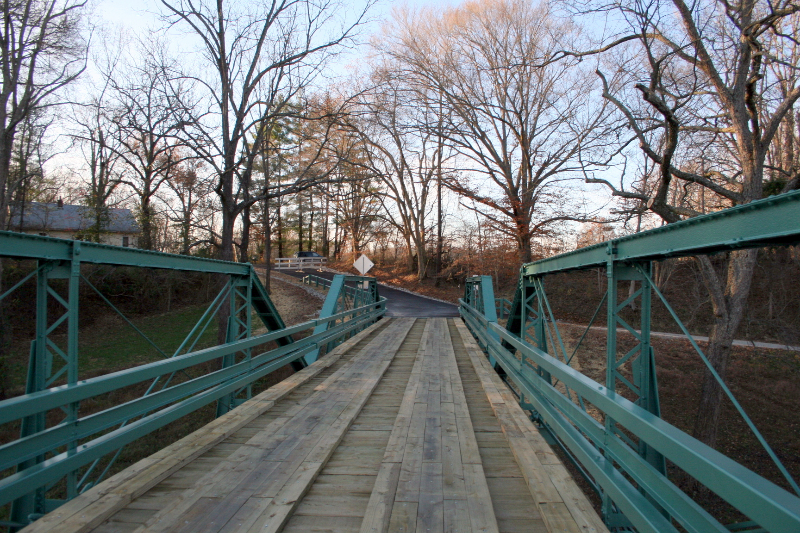 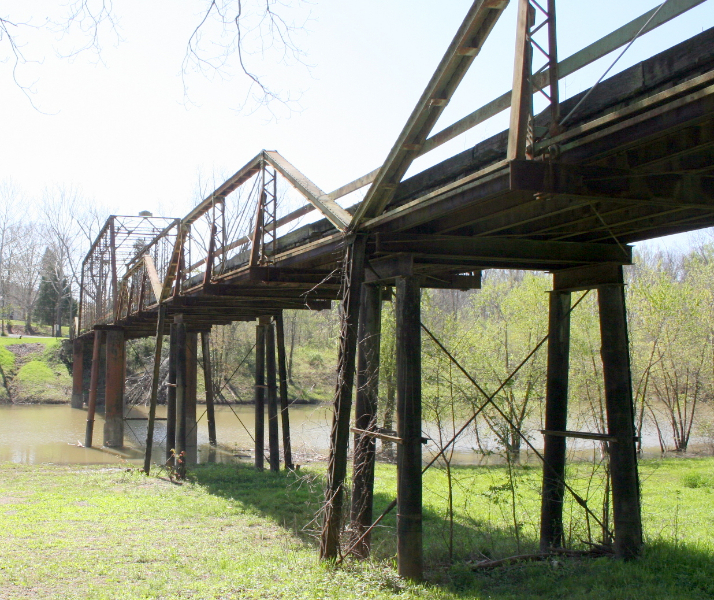 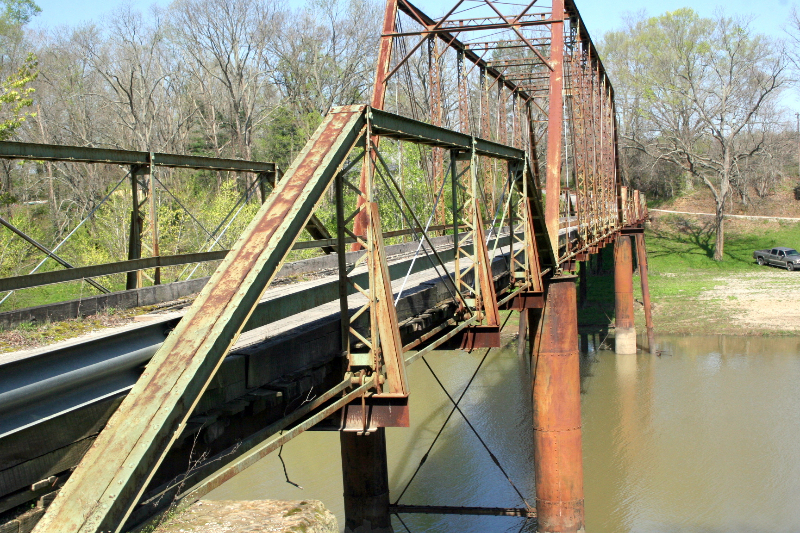 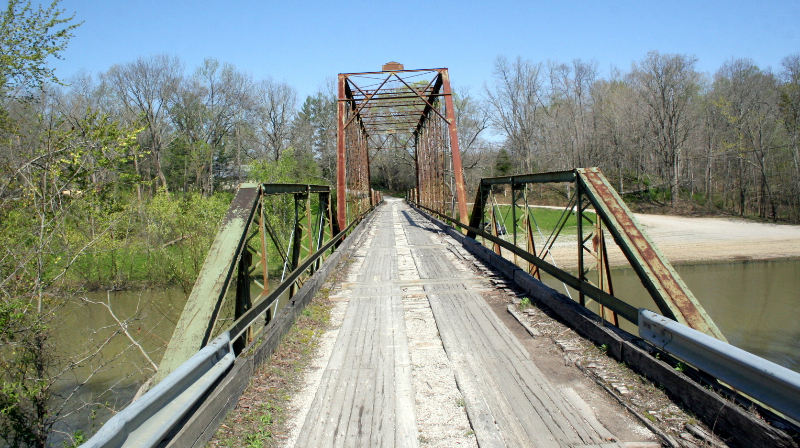 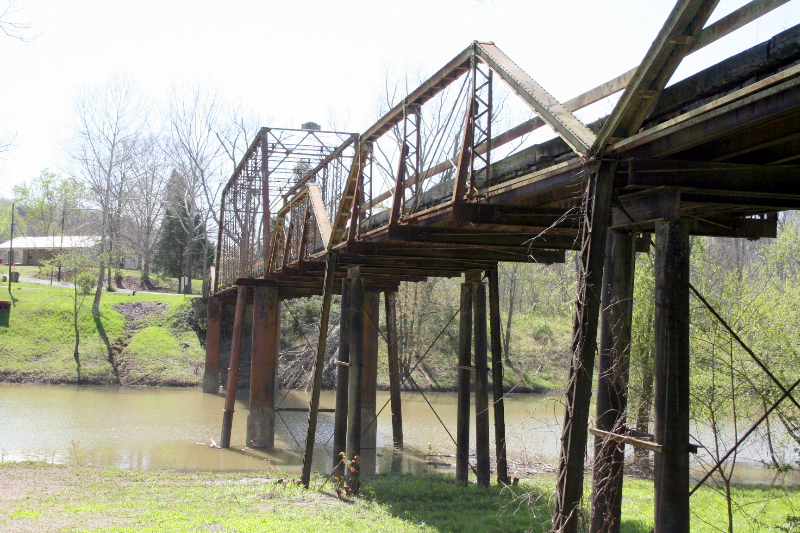 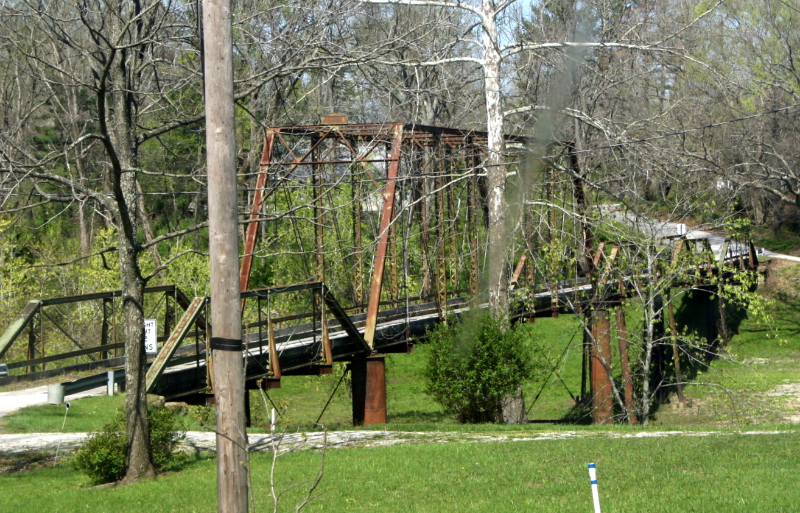 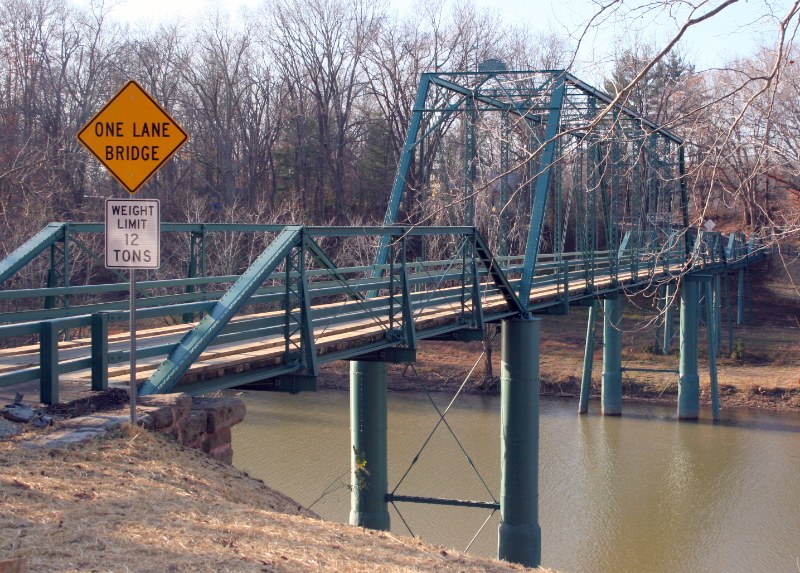 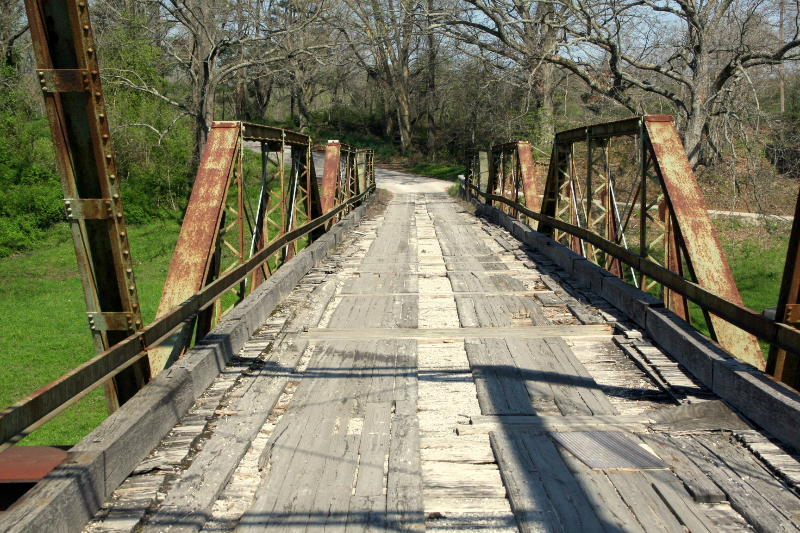 The Alton Bridge is the third through truss bridge than CLR Inc. rehabilitated. 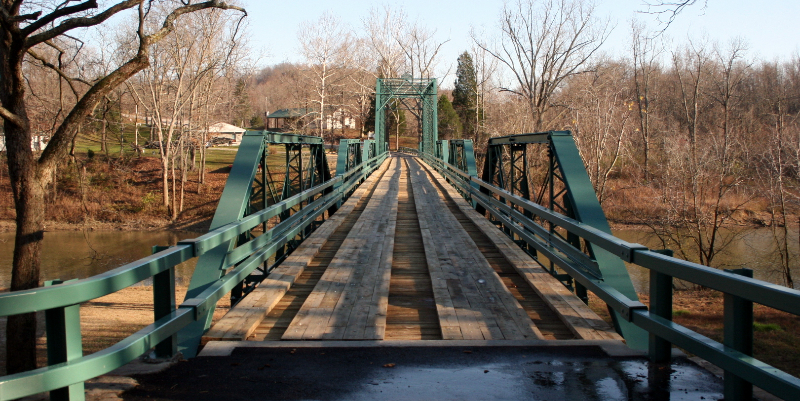 It is a very impressive bridge, with a long through truss and three pony truss spans on one end and one other pony truss span on the the other for a total of five spans in all. 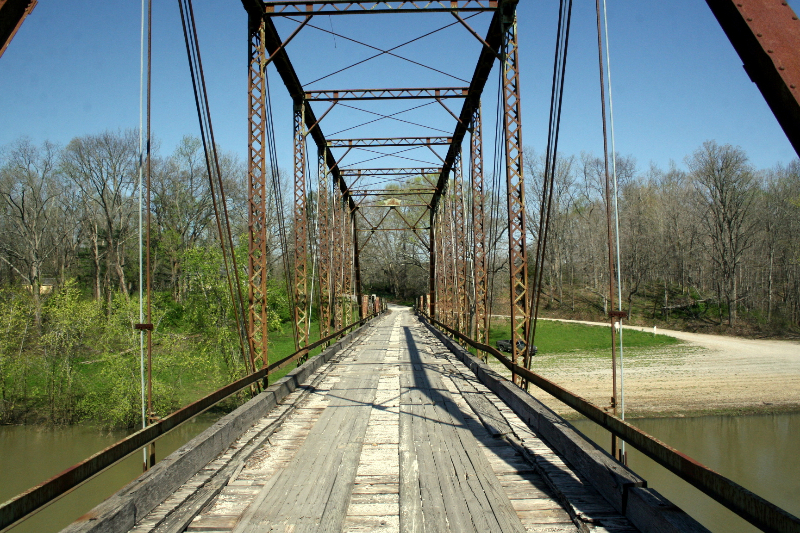 It is situated high above the stream, and is almost at the mouth of the Blue River where it flows into the Ohio River. 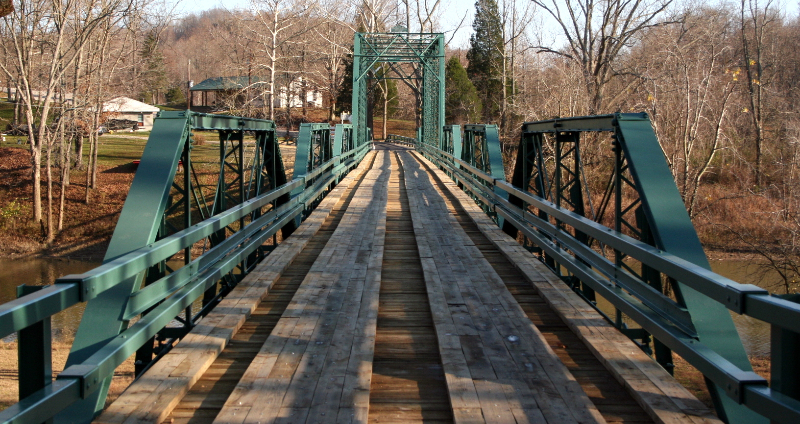 Length of largest span: 138.7 ft.